MV Rani & An Island Hideaway have teamed up to bring you a glorious day out on the Gold Coast Waters & South Stradbroke Island. It starts the moment you board our Rani, sit back and relax, sip on a beverage as we cruise you calmly up the broadwater while you try to spot dolphins, dugongs and the plethora of other marine life we have. So jump on board The Rani and let us take you on a journey to An Island Hideaway that won’t break the budget. 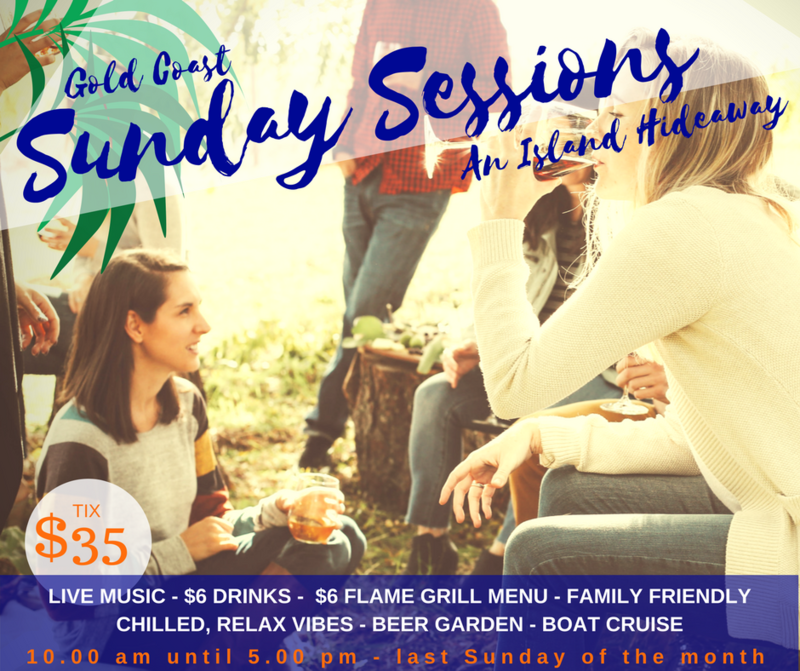 Sunday Sessions are held on the last Sunday of every month. An Island Hideaway is an exclusive venue located between Tipplers and McLarens Landing.